The 2009 financial crisis shook the world in more ways than one. Even with a $787 billion stimulus package from the taxpayer’s money, that the US government put in, it has taken a while. It did something else as well. We got to see the extent to which greed had engulfed us. This also propelled a new triumvirate to emerge. The blockchain triumvirate! The financial crisis shone a light onto the complicity of policymakers, bankers and large corporates. A complicity that went well past ‘hand-in-glove’! It was extreme. To say the least. Extremities cause frustration and frustration can cause action as well. Satoshi Nakamoto the creators of Blockchain brought Bitcoin to the world as a response to the financial crisis. As an alternative for the people of the world. It may well seem like it aims to deliver the world from dependence on greed propelled corporate malevolence. It does have a Robin Hood feel to it or perhaps a “we-the-people” feel to it. Thus was born new relevance to “peer to peer” network strength. Considering the timing, this hypothesis rings well. Enter the Blockchain triumvirate. The three deep anchors bode well for it to be called triumvirate, won’t you agree? “Transparency – Security – Immutability” upon which Blockchain was built. The lack of these is precisely what contributed to the 2009 financial crisis. Transparency ensures that every transaction and updation of records is visible real time to all users across the globe. It divests the privileged few of the undue advantage of access to data. Security ensures that data is stored across the world and there is no ‘one’ honeypot to hack into. who corner a large part of the value generated simply for vouching for each of us, have to find new relevance in the blockchain world. What stands in the way of people completely getting Blockchain is that it demands a new way of thinking. The edges remain jarred when the assimilation of the new happens through the openings of the familiar. To go beyond the familiar, suspend judgement and evaluate what is, from a position of ‘what can be’, is necessary. The attempts on this blog through this series, in conversation and with contribution from others, is precisely that. To help stoke conversations by sharing learning and understanding. Which also fuels curiosity and gives the energy to do more of this. Energy, especially to sustain conversations with curious people who think blockchains are bitcoins and nothing else. Well! How many transactions can the bitcoin network process per second? Seven. Yup, All of Seven transactions! Each transaction takes about 10 minutes to process and form a block. As the network of bitcoin and Blockchain users grows, waiting times will get longer. There are going to be more transactions to process without a change in the underlying technology that processes them. Why is the Blockchain framework so slow? The answer is in the example we explored. The teacher and her 50 students ‘simultaneously’ trying to solve a puzzle. 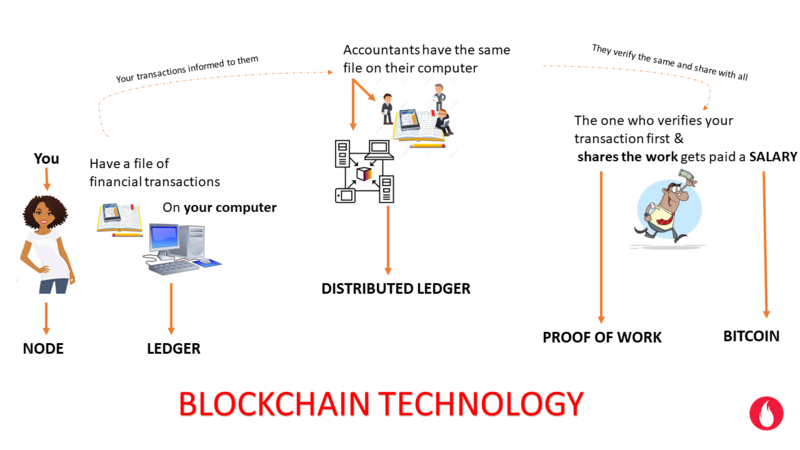 Blockchain thus uses a Proof of Work concept, to confirm transactions. Apart from slowing down the network, Proof of work consumes enormous amounts of electricity. The saga does not end with electricity. Proof of work offers Bitcoins as rewards for validating the transactions. This reward reduced by half every 4 years or after 2.1 lac blocks. Thus by 2024, it will also become unprofitable for miners to continue solving these puzzles and generate blocks. Less the users, more vulnerable becomes the Blockchain. Compromising on its biggest pillar of Security and Immutability. Proponents are aware of these limitations. They are exploring many other ways of making Blockchain scalable and secure. 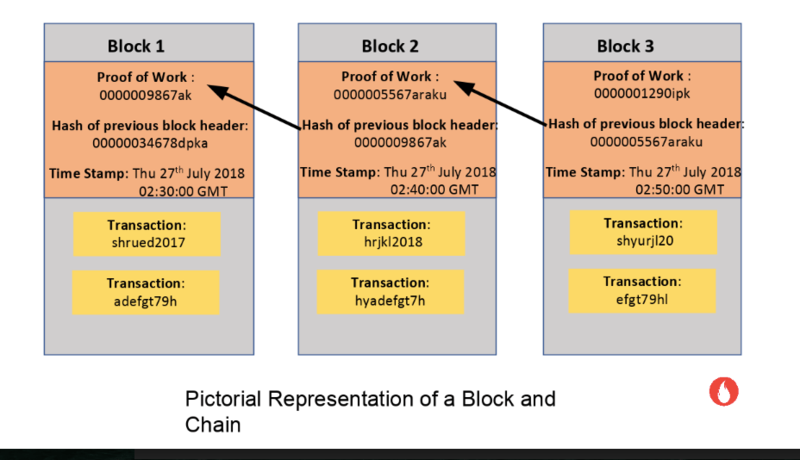 Proof of Stake method to create Blocks is one such. Ethereum among many other firms is leading the way in this effort. 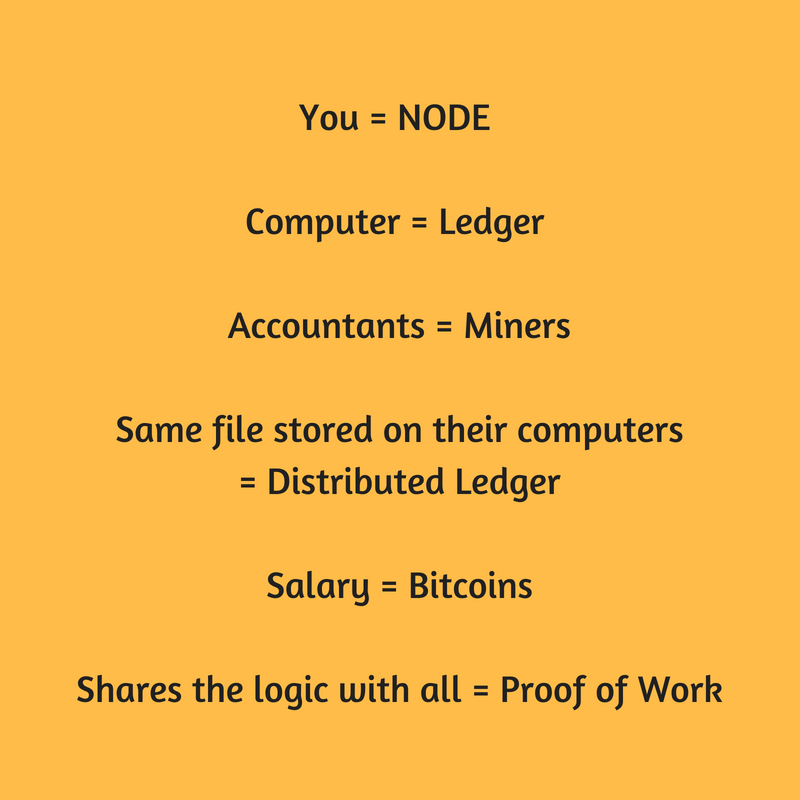 In PoS, ‘one’ individual(s) are chosen to generate a block. They are known as validators. How does this help? Think of the electricity saved by not having hundreds of miners trying to be the first ones to solve the puzzle. The flip side, how do you make sure these chosen validators do the right thing? Do you recollect renting a self-drive car or a video CD? The shopkeeper asks you to put down a security deposit. One that will be used if you damage the car or not return the VCD! Similarly, in the Proof of Stake method, the validators have to deposit their coins to a central store. These coins or stake is only released back if the transaction is validated accurately. How are these validators chosen? Each network can define their own criteria for choosing validators. Some may opt for the validators who have the maximum coins ( thus they have more at stake to get it right!). However the rich get richer in this scenario. Yet others may use a random algorithm to choose the validators. What if as luck would have it, the validator was offline for a few minutes, when the block was assigned to him/her. Each delay will slow down the network. Yet others prefer to go by the aging of the coins the validator owns. The older the coins, the better their chances of being chosen. Similar to the rating given by passengers to the uber drivers, these validators are given a rating basis their performance in validating blocks of transactions. These ratings can be another criterion to allocate future blocks. Ensuring the validators have stake/sufficient coins to lose will be imperative. Else the possibility of them behaving irresponsibly. Nothing at Stake problem! While many cons exist. We should not forget the pros. (1) Massive savings in electricity. (2) Much much faster than the PoW method. (3) decentralized – It isn’t dominated by a few cartels & mining rigs. (4) Validators can work on home computers and don’t need all that fancy equipment!! This one is my favorite. Tempted to be a validator myself and experiment! (5) Rogue or 51% attacks are tougher, not impossible though. As I write this, two news briefings catch my attention. Ethereum has delayed its switch over to PoS till 2019. Red Belly a Blockchain research project, funded by Australia’s National research body CSIRO and Sydney university has achieved the 30,000 transactions per second in Blockchain. Tested on Amazon Cloud (AWS) from July 2017 to May 2018, they have been able to do it across time-zones with over 300 computers. They have solved the scalability issues and the enormous need for electricity. This is exciting stuff. Read more here and stay tuned. Is the future here already? I wonder, I hope. I look forward. Headlines about Blockchain ushering in a revolution and becoming the internet of value is quite common. So much so, that none of us realize that it’s creators Satoshi Nakamoto in their 2008 whitepaper introducing this concept to the world had not named it Blockchain! They had used the words ‘Block’ and ‘Chain’ separately. To the creators, Block and Chain were concepts rather than a name. They believed that the process of verifying and recording transactions into a block and linking them together as a chain, would make this whole approach of peer to peer interactions secure, visible to all parties and be hard to hack into or be modified without detection. Thereby eliminating the need for middlemen or authorities. Blocks by themselves are an interesting concept. Does it remind you of a family! Here is a live sample of a chain being formed of Blocks and a pictorial representation follows. 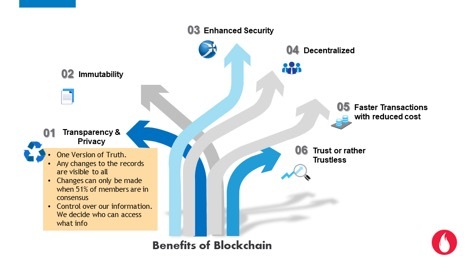 Why would ‘Block & Chain’ offer unparalleled security? Think of a notebook with page numbers to indicate the linkage or chain. It is possible that someone could replace the contents of the page without having to alter the page number. Well, we may never notice something amiss since the page numbers continue to tally. 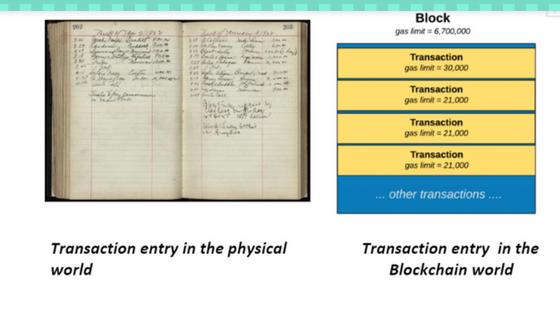 In the ‘block and chain’ concept, each block in the chain carries the digital signature of the previous block. Even if a single alphabet in the transactions is changed, the digital signature is significantly altered. It will not tally with the next block as seen in the image below. Let’s dive deeper into this image. 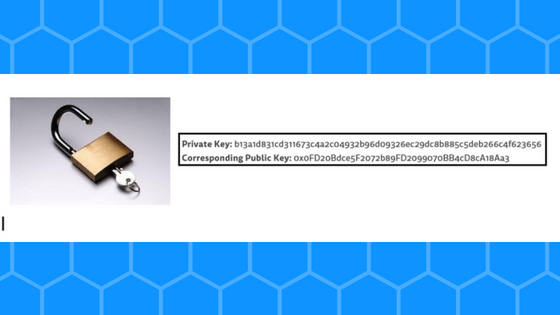 This digital signature or Proof of Work you notice in the header of a block is a cryptographically generated key. Any change in the transactions listed in the block will substantially alter the Hash/Proof of work/signature of the block. You also see that the next block carries the signature of the previous block. This is the chain linking them. So the minute any transaction in the previous block is altered. Its hash will change. It won’t tally with the one already imprinted on the next block! This makes it very evident that the details have been tampered with in a Blockchain. Thereby giving this framework of peer to peer interactions the security & immutability features. The block and chain are the foundational elements, the very molecules, upon which the premise of Blockchain is built. Leaving you with an idea of how a real Block looks like. The blocks are not without their own quirks and sense of humour. There are Orphan blocks, uncle blocks, Stale blocks, Genesis blocks and many more funny blocks out there. Go on read about them here and pass on the chuckle:). Will Telangana, the youngest of Indian states, lead the way for the Blockchain adoption and innovation in India? If the MOU signed by the State of Telangana “to create the first Blockchain District in the country”, is any sign, it is off to a head start. The 50 MOU’s signed at the recently concluded International Blockchain Congress held in Hyderabad and Goa stand as testimony to the progress the domain is making. The Blockchain district will aim to be a centre of excellence for Blockchain. It will serve as an incubator for developing the processes and technology associated with Blockchain. The creation of a seamless ecosystem is to enable stakeholders to learn and support each other. Plus, the government plans to have a ringside view of the workings of the industry thus helping it envisage the big picture needed to frame appropriate regulatory and policies. A framework that will enable and promote Blockchain growth both in India and the world. At least that’s how it reads on paper. Even whilst it remains to be seen as to how it will pan out in the real world, this progress is a harbinger of good times for the Blockchain ecosystem. Tech Mahindra has signed up as the Technology Partner for the Blockchain district. The firm will provide platform and technology support to all the incubators. The idea is to make it easier for the Blockchain start-ups to focus on Blockchain solutions. Exploration of solutions in the field of healthcare, land records, hospitality and scholarships all point to interesting times ahead. Snippets which caught the eye included examples and ideas that are gaining traction. Allocation of scholarships, for instance, attempted through the Blockchain framework is exciting. The credentials of the prospective scholars are verified through smart contracts on Blockchain. A scholarship awarded to those meeting the criteria. Making the process easier and foolproof. We have never been limited by tools but only by our imagination to use them well. That Blockchain is getting deployed to solve real problems in the not so privileged parts of the world offers a peek into its prowess. Congnito Technologies has signed an MOU with the Telangana state to help deliver low-cost credit to the self-help groups using Blockchain. Micro-finance going further than what it does today holds the potential for firing up several other parts of the ecosystem. More and more of similar stories will emerge as the technology gains mainstay. The entire meet seems to have been abuzz with possibilities. From workshops for students to imagine and learn about the world of Blockchain, to start-ups who presented their solutions to the 3000+ participants, the conference seems to have panned the spectrum. 80+ speakers ranging from CEO’s of various firms, including Niti Aayog, the IT ministers from Telangana and Goa who shared perspectives and keynotes, all seem to be have hit the right notes. The International Blockchain Congress, the first of its kind in India and lauded as the largest in Asia, hosted by the states of Telangana and Goa, trended for two full days on Twitter. Providing much fodder for this post, not to mention all the animated conversation over the possibilities the technology holds for the future. These still are early days for Blockchain. Time will tell where we choose to take it to and how we use our imagination well. Fledgling attempts to build an understanding through conversation and contribution are listed below. A permanent secure digital distributed ledger was the simplest definition of Blockchain that emerged in the previous post from this series. A long conversation on the possibilities with blockchain resulted. As the ideas were wrestled with, the contours for further conversation needed to be sealed. And this post is just that. The contours for further conversation. Truth be told, none of these above terms are missing in the world of technology today. We have secure databases, digital databases, distributed ledgers even. Why then, is Blockchain considered as the messiah of the internet? Why is it said that the ‘world wide web’ is about the exchange of information and Blockchain will be about an exchange of value? The industry is expecting Blockchain to be able to resolve world hunger, serious! Proponents claim Blockchain will make it easier to trace ‘blood diamonds’, something that has plagued us for decades. Be able to reduce and even eliminate accounting fraud. Think Enron! Voting in the elections. Moscow and NASDAQ are in the process of deploying Blockchain for electoral and shareholder voting to prevent fraud. Now take a giant leap across and Blockchain supporters believe that it will make it possible for you and me to borrow from peers and not just depend on a bank. A completely new fundraising mechanism. The currency exchange guys believe that Blockchain will reduce their transfer transaction times from days to seconds. Tough to imagine that level of improvement in productivity and efficiency. Days to seconds! Wow. Artists are singing praises because they believe Blockchain will deliver them from the clutches of record labels who corner more profits than the artists for their work. Look around you, intermediaries in every industry sector and transaction garner far more value than the buyers and sellers. Think of the farmer getting a pittance for his produce while you pay escalating prices for greens. With intermediaries a.k.a traders/middlemen earning a significant chunk. A world without intermediaries. Really? Summarising the possibilities gets this list below to emerge. A broad cull from all the herd of hype about Blockchain. The above possibilities emerge in the way many of these existing technologies of Digital databases, distributed ledgers have been intertwined with newer concepts such as Consensus Protocol, Smart contracts, Proof of Work, cryptography to create the Blockchain framework. Thereby unleashing immense possibilities and benefits. Each of these sits well for deeper conversation and exploration. And will soon come here too. There are much jargon and ‘big’ words in the post. Thereby straying a distance from a key objective of keeping it simple. That is part of the challenge that is being wrestled with. With time, practice and deeper conversation and real work, this space will read better. Jump in. Let’s keep the conversation going. In our own small pockets and larger forums. We’ll get somewhere.